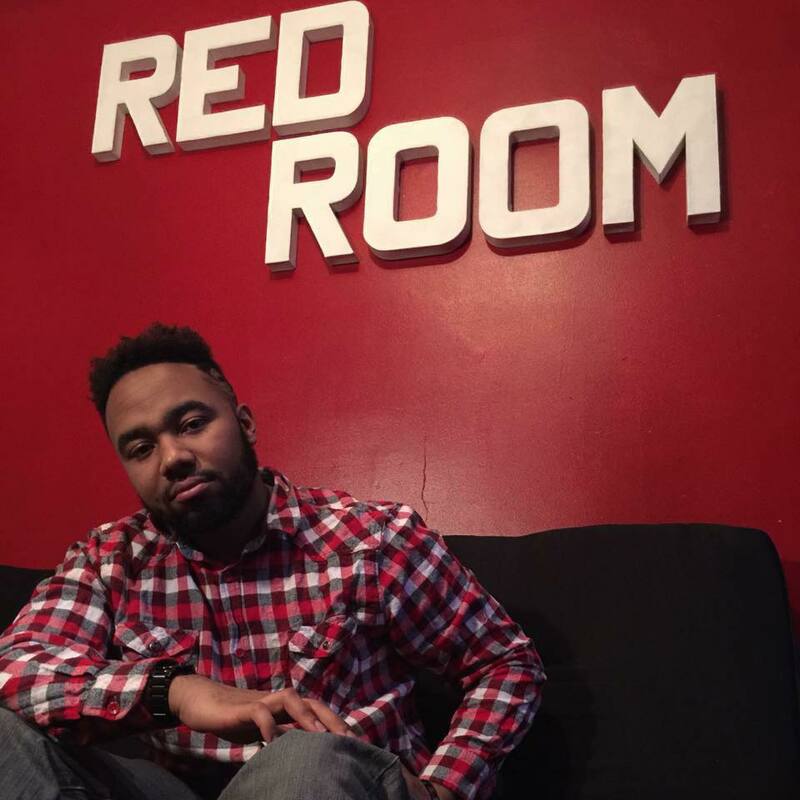 Cleveland-based hip hop artist Lashon Evans (formerly E-Stilez) has been making a name for himself the past couple of years. Most recently, he released his debut EP, under his new name, “Never Ashamed”. The EP is a touching dedication to his long time girlfriend where he brings his love for her to the forefront of the project. If you love the interview feel free to check out his project here along with his previous work. Ashley: For those that don’t know who you are why don’t you give them a little background information on you and your career up to this point. Lashon Evans: I’m a 25-year-old rapper born and raised in Cleveland, Ohio. I grew up early on dedicated to music and learning all that I could about it. In the third grade, I joined the Cleveland Boys choir. We performed at dozens of locations most notably Mayor Jane Campbell’s inauguration, Cavs and Indians games and on Fox 8 News. Early on I also grasped the basics of playing the violin & piano. My career as a recording artist began in 2006 with the help of some high school friends. After graduating high school, I became more enticed with the opportunity of making it big. In 2015 I released my breakout project Memoirs of 1209 which has garnered much acclaim. To follow that up early this year my EP “Never Ashamed” was released. Ashley: You changed your name from E-Stilez to Lashon Evans. What brought on the name change? Lashon Evans: I looked around at the music that was being made and I could no longer see a resemblance to the artist I once was. E-Stilez came at a time when my music was much vaguer. As I’ve grown as an artist though I’m much more versatile and I understand who I am. Lashon Evans felt real to me and is authentic because it derives from my real name. Ashley: Let’s get talk about your latest project for a bit. “Never Ashamed” was released at the end of last year what is the story behind the EP and the message you’re trying to get across? Lashon Evans: The story behind “Never Ashamed” is truly made clear on the intro track “Holy Daughter”. The Lyrics “If I’m a write a song bout’ you, La’Vette girl you gone know it” is exactly the defining line I wanted to be remembered. Being honest in my music & making myself more human to the people who are listening. There were people in my ear discouraging me from bringing my relationship into the forefront & this project was motivated by them. Ashley: I actually want to talk about that a little. You said you believe in being honest in your music, which isn’t always common today. With “Never Ashamed” being so personal, how important for you is it that the listener feels that they know you or any artist on a personal level? Lashon Evans: For me, it’s extremely important that my fans feel close to me. I always want my music to be relatable to people. I’ve come to find the music and writing it comes much easier when it’s real to me. The stories flow faster and the passion can be heard with much more clarity throughout the music. Ashley: I want to take a step back and talk about the people discouraging you. How have they taken the EP’s success? Lashon Evans: The people who discouraged me about the project are no longer in contact with me. I’ve severed all ties to negative energy. I made it important that I kept the people around me and their intentions pure while working on “Never Ashamed”. My guess though is that they now understand the vision and have found a new outlook. Ashley: Wish I met you first is the breakout track from the EP. Where did you get the idea for it from? Lashon Evans: The idea of “Wish I met you first” came when I was writing to the beat to it. I remember going through about three different verses with totally different concepts. In the end, the fun and boldest one stood out. It began with me thinking relationships are something I have a ton of experience in. The sounds on the record just seemed like a fun song and I figured no one else talked about it. There’s often a guy or girl you meet whose friends of the person you’re dating, and that person leaves you with guilty feelings and slight regrets. After writing the first verse I sent the record over to Cleveland native Tae Miles who added an outstanding feature on the chorus. Ashley: You collaborated with Ronny Fluckes on a couple of different tracks on “Never Ashamed” what brought on this collaboration? Lashon Evans: I heard Ronny Fluckes for the first time on my producer Axis track “Waves”. His sound was special and like no one I previously worked with. I sent him an instrumental track (Peace Of Mind) and a song which would become “Your Body” I had already been working on. He sent both tracks back the same weekend and I instantly decided they would make the “Never Ashamed” project. One week before my project’s release I was scrambling to make sure I Dotted all my i’s and crossed my t’s. I called up Ronny Fluckes & asked him to add vocals to “Holy Daughter” & “Sinful Blessings”. Ashley: What are your top 5 artists/producers you hope to work with in the future? Lashon Evans: My top 5 artists and producers I would like to work with are mostly people behind the scenes. First I would want Ali of TDE mixing my records if possible. The second person would be Bibi Bourelly who is mostly known for her work penning Rihanna’s “BBHMM”. The third would be a singer by the name of ZZ Ward who has a distinct voice that I’ve always wanted to work with. Fourth would be the opportunity to work with Play Picasso who has lately worked with Tory Lanez on songs like “Proud Family”. Fifth would be Ronny Fluckes again. Only time will tell but I would love to collaborate on more music, even possibly an entire project. Ashley: You’re more than just a hip hop artist. You’re a photographer and a music producer if I’m not mistaken. How do all of your different interests affect your art and do you plan on using them all in your next body of work? Lashon Evans: I’m extremely interested in utilizing my photography in a way to help me promotionally. Imagery is important in branding yourself and becoming relative to people. I hope I can use pictures and video to bring the music to life this year. Ashley: What’s next for Lashon Evans musically? Do you see yourself going on tour? Putting out any music videos? Lashon Evans: Next up, I’ll be in the studio working on a new project for the Summer. The idea of touring is constantly in my mind. The hard part is finding the time & revenue to make it happen. If my next project is as successful as I’m planning a tour will undoubtedly become a reality. “Wish I Met You First” video has been in the works for a few months & will be out soon! I also plan to shoot visuals for most of my upcoming music. Ashley: I want to end this by asking what words of advice do you have for other artists? Lashon Evans: It’s going to sound cliché, but never give up on your dreams. I’ve been working for 11 years to get to this point. Still, with a lot more to accomplish, I realize I’ve never been in a more prime position for success. My view of the world has changed and that will help shape me into a better person for the long haul.